Diwali is celebrated each fall and is one of the most popular festivals of Hinduism. It symbolizes victory of light over darkness, good over evil and knowledge over ignorance, symbolized by candles and lamps. 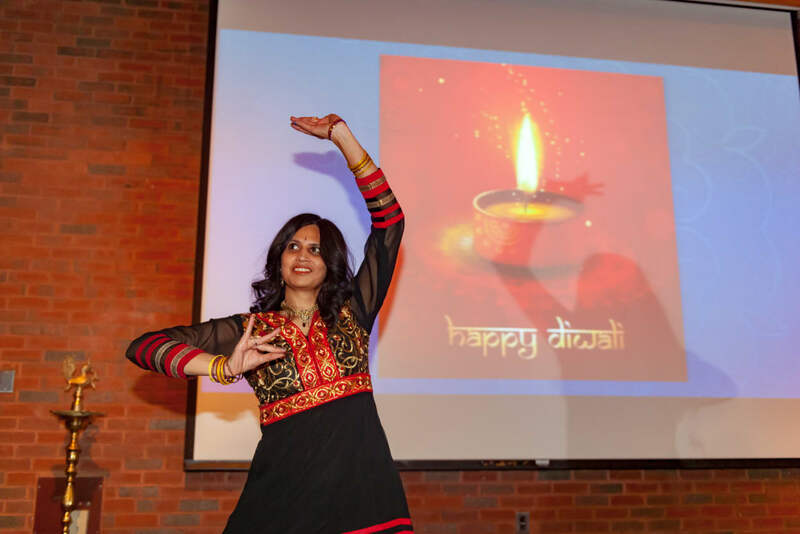 Organized by several Lowell General Hospital physicians as a fundraiser for the hospital, the event featured traditional clothing, music and dancing, as well as food catered by Dharani in Woburn. Lowell General Hospital CEO Jody White had the honor of lighting the “diya,” an oil lamp used in India. The goal is to make the Diwali celebration an annual event. Proceeds from this year’s event will help pay for a patient kiosk in the Dahod lobby at main campus to guide patients and visitors around the hospital.